Starboard SUP’s 2019 ReCover board bags are now made from recycled plastic PET bottles, thanks to Waste2Wear. Starboard has partnered with Waste2Wear – a company that creates innovative circular solutions for the textile industry – to create our new line of ReCover bags for both inflatable and hard board ranges*. Bottles are collected from different locations in China and then brought to the processing factory. 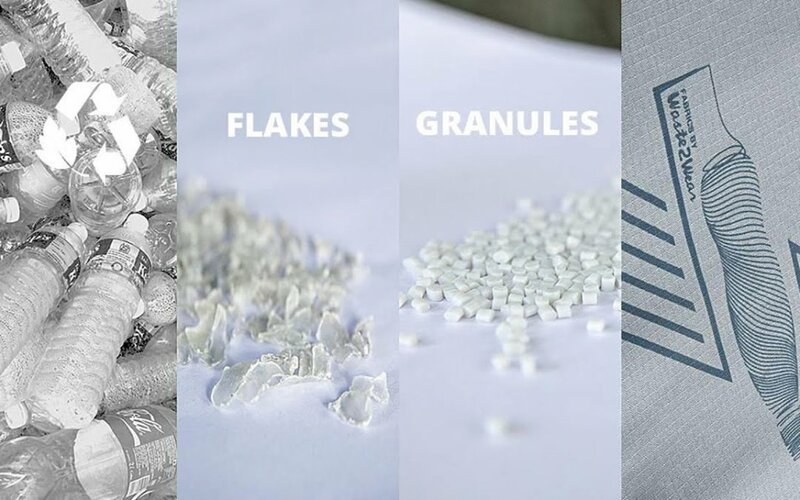 The first step is to wash the bottles, once cleaned they are then shredded into flakes which can be easily melted and extruded into plastic pellets. The final step is to then spin the recycled plastic pellets in yarn – the RPET fabric – which has a massive 90% lower Carbon Footprint than virgin PET fabrics. We use a tough 450D fabric that is woven with Ripstop weaving technology which greatly improves the wear and tear resistance of the Starboard board bag’s outer layer.